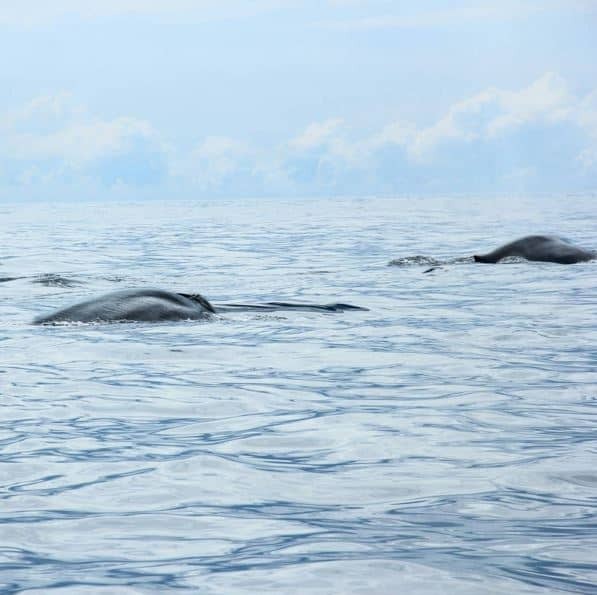 One of our travel specialists, Lauren, tried out our latest whale watching experience off the coast of Mirissa, Sri Lanka. Spotting them from a smaller, faster speed boat – it made for an unforgettable memory. As someone who has been described by her dad as a ‘Whale Hugger,’ you can imagine how excited I was to have the opportunity to go whale watching in Sri Lanka. Experiencing it with some colleagues in country, I was trying to play it cool and at least managed to hold back tears…just. I was travelling in December, so the beginning of the whale watching season, and everyone around me (quietly aware of my love of whales) was telling me not to expect to much nor to get my hopes up for seeing any. But my word, did we see whales! I saw Blue Whales, Right Whales, Bottlenose Dolphins, flying fish and flopping (not the official term) tuna. This experience was all enhanced by the new smaller faster speed boat we were riding on. It takes half the time to get to where the whales are migrating compared to other boats which means you don’t have to get up so early to reach them and can feel fresh and awake. You can also have more time out on the ocean, when other boats are heading in you can stay for longer as it doesn’t take so long to get back. This also means you get more ‘alone time’ with the whales, especially as the speedboat only accommodates a maximum number of 12 people so you don’t feel like you need to duck and dive around to get a good view. All in all this was one of my favourite experiences in Sri Lanka and I’d recommend it to anyone keen on wildlife, wanting to explore the south coast. If you wanted to see how this experience could be tailored into your holiday, have a look at these suggested itineraries. Remember, these are just a starting point. All our holidays are tailormade to suit your preferences so we can tweak activities and hotels wherever you’d like. If you wanted talk to myself about your Sri Lanka holiday you can always phone on 020 3393 8629. There are absolutely no obligations and I’m here to offer advice for any stage of your holiday planning. Hello, I would like to do a two week trip in Sri Lanka to include whale watching and surfing solo.